You will be met by your driver/guide in the arrivals hall of Dublin Airport. This morning you will visit the wonderful museum of Irish Emigration known as EPIC (every person is connected). This is the perfect place to trace your Irish family ancestry. Start with what you know and they’ll help you discover the rest. Enjoy lunch at one of the many excellent pubs. Save room for authentic gelato at Scoop Gelato. I hear the Hendricks Gin and Tonic gelato is one fantastic. Guests have the afternoon free to relax in historic Dublin or possibly an afternoon tea. This evening there is a welcome reception and dinner. Following a full Irish breakfast your driver will meet you in the lobby and travel to County Meath formally known as Royal Meath. It owes its history to the High Kings of Ireland where you will visit and tour the Neolithic site at Newgrange which dates back to 3200 BC. Lunch will be at Slane Castle built on the banks of the Boyenin River in 1703 and is the current home of the Cunningham family of Lord Henty Mountcharles. You will visit the newly established Slane Whiskey Distillery on the grounds of the castle. Join your local guide for a tour of the Irish capital. At Trinity College, discover the antiquarian texts of the Long Room Library, including the eighth-century Book of Kells — an exquisitely detailed example of early Irish manuscript illumination. Continue to St. Patrick’s Cathedral, Ireland’s largest church, built near the famous well where St. Patrick is said to have baptized converts. After the tour it will be time to visit the world renowned Guiness for a private tour and tasting while learing to pull the Perfect pint of Guiness. You've heard the song "It's a Long Way to Tipperary", well not so if you are in Ireland. After your full breakfast, you'll meet your driver/guide and travel across the country to the lovely village of Cashel in County Tipperary home of the former Kings of Ireland where a visit to one of Ireland's most spectacular castles perched on a hilltop dating from the 11th and 12th centuries. Here you will find the 12th Century Round Tower, Cormar's Chapel, St. Patrick's Cross, the Hall of Vicar's Choral and the Cathedral of St. Patrick. Traveling south you will visit Cobh which is the last port of call of the ill-fated Titanic. In Cork, we will visit the working distillery of Old Jameson. This morning your driver/guide will take you to the Old English Market in Cork. This vibrant market is the centerpiece of the city visited by Kings and Queens when visiting Irelands second largest city. Next is a vist to the famous Blarney Castle and Gardens with time for some retail therapy at the Blarney Woolen Mills. And if you are wondering, we aren't planning to stand in line to kiss a stone that millions of tourists kissed earlier. This evening an early dinner is planned so that you can enjoy an evening of Celtic Roots traditonal music and dance. Another great day in Ireland! You will tour the Ring of Kerry with its lovely fishing villages and wonderful sheep farms. You will visit a herdsman working his dogs while rounding up his herd in the nearby hills and mountains. Kells Bay Eco garden has amazing trees and plants only found in this small corner of Ireland on the Gulf Stream with Irelands longest Rope Bridge. The Skellig Michael, a UNESCO World Heritage Site is a well-preserved monastic settlement from the early Christian period. This ancient site boasts stone beehive huts, crosses and the church of St. Michael, and can be reached by climbing a one thousand year old staircase with over 600 steps. Meanwhile, Small Skellig is a haven for wildlife, with over 27,000 pairs o f gannets - it is the world's largest colony of these sea birds. Other sites include the Gap of Dunloe, Torc Waterfall, Muchross House, Killarney National Park, Inisfallen Island, and the towns of Kenmare, Sneem and Portmagee to name a few. In Killarney Park you may choose to tour in a jaunting carriage (horse and cart) or rent a bike and cycle the park rather than walking. Today your driver/guide will take you to the Dingle Peninsula on the Wild Atlantic Way driving the Slea Head route with some of Ireland's most beautiful beaches and scenery. As a market town and fishing port, Dingle has long been well supplied with pubs; in recent years the number has hovered around 52, and the variety is almost as great as the number. There are some so small that five's a crowd, with each selling an assortment of goods. You will visit a glass factory and admire the talented craftsmen demonstrating their talents of glass cutting. There is plenty of time for walking the villages and enjoying the local pubs and shops before you arrive in the lovely village of Adare with its famous thatched roofed cottages. Adare Manor offers so many choices for your day of leisure you may choose to enjoy the spa, play a round of golf, go horseback riding on the grounds of the estate, walking the woods with your personal falconer and hawk, enjoy an afternoon tea or anything else you dream of doing. Your driver/guide will travel to County Clare to see the famous Cliffs of Moher and its amazing landscape of the Burren (a UNESCO Site). If the weather cooperates you will see the cliffs from the water's edge. These mammoth cliffs stretch for eight kilometres and at their highest point reach two hundred and fourteen metres. Many viewing platforms offer incredible views of the cliffs and its surrounds. Many beautiful villages can be visited along the way including Lahinch and Doolin. The spectacular Burren region is quickly becoming a foodie destination where you will find fabulous cheeses, smoked salmon and even artisan chocolate. Tonight is a special farewell dinner. Today is the end of our time in Ireland. Arrangements will be made for those needing transportation back to the Shannon airport. For those staying longer in this beautiful country, enjoy the remainder of your stay in Ireland. Not ready to return home? How about a post trip to Scotland or England for a few days? 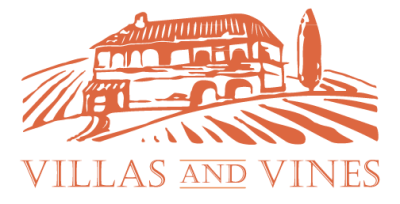 With Villas-and-Vines the choice is yours - just ask Anne and she will design an itinerary matched with your interests and budget. NOTE: Itinerary is subject to change in the event of weather, special events and serendipitous moments.